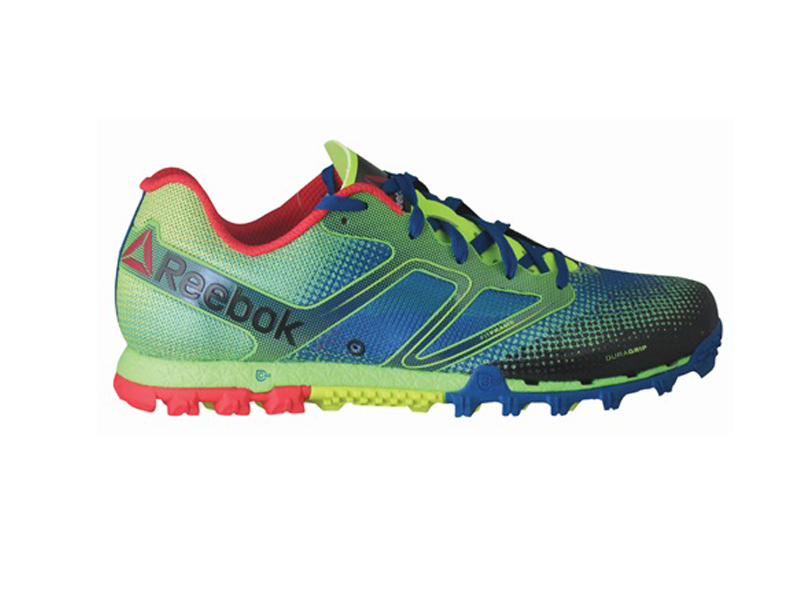 The All-Terrain Series is specifically engineered for the sport of Obstacle Racing and has been designed in partnership with the Reebok Spartan Race. Born from the trenches of Spartan Races, the All-Terrain Super is an innovative, game changing product that will help you conquer any course through water drainage, traction, mud resistance, durability, and versatility. Water challenges are no problem as strategically placed drainage ports in the upper and midsole allow water to drain quickly and easily. Designed to help you overcome even the most difficult terrains, the shoe features square, indented lugs which provide traction in all directions, toe picks which help give you leverage on slippery surfaces and mid-foot teeth which provide traction and protection on ropes. An underfoot rock guard protects your foot against sharp and hard objects so nothing can slow you down. Areas on the shoe most prone to wear are protected with a Duragrip upper to help provide durability.